Hey, it's almost Christmas! How did that happen? Anyway, I'm working until 6 pm on Christmas eve. If you are like me, you need a quick and easy dessert. And here it is! 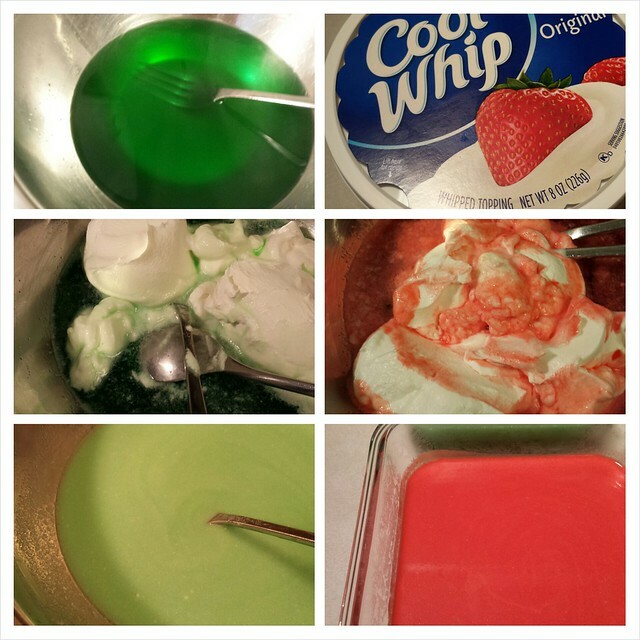 Jello + Cool Whip + Refrig = Easy Peasy. It's not "natural" (have you seen what's in Cool Whip?) but kids love it and there is something nostalgic about Jello. I made this before as Orange Creamsicle Jello. 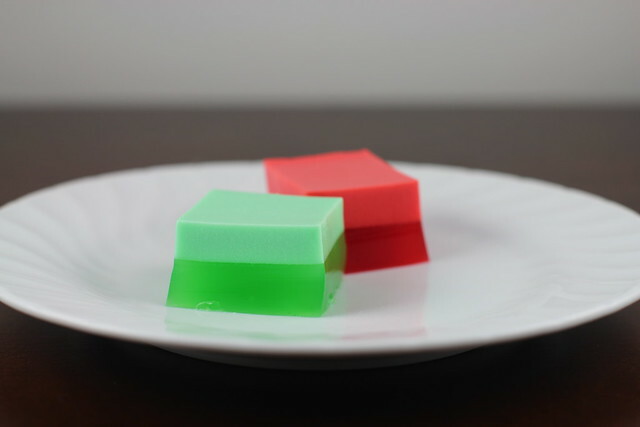 This time, I made it with Lime and Cherry Jello. 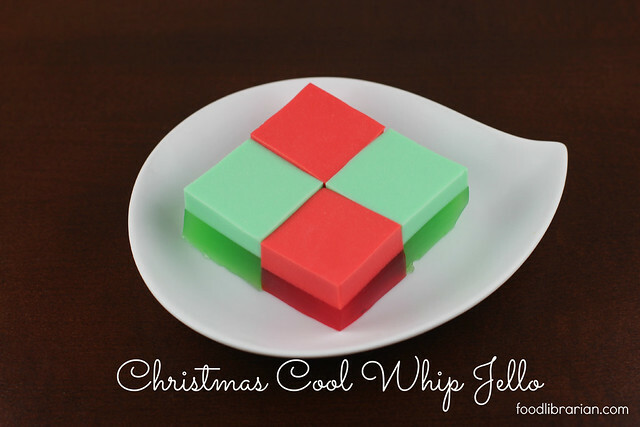 Just dissolve a pack of Jello (using less water than the package says to use so it will be stiffer) and add Cool Whip. Blend to melt and pour into containers. Fridge overnight. Done! The Cool Whip layer rises to the top while it chills. 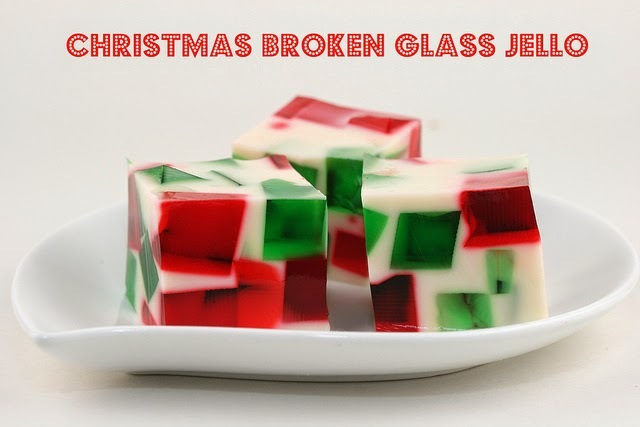 Another Christmas Jello recipe you might like is Christmas Broken Glass Jello! You need a little more time for this one, but it is super easy too!! 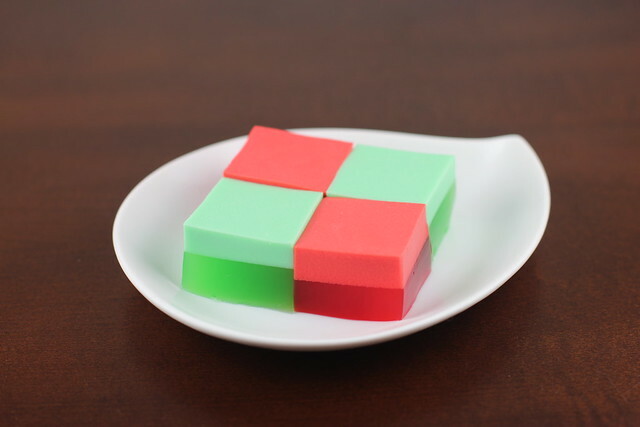 You need to make two batches - one green and one red. 1. Place contents of orange Jello packet in a large bowl. Add boiling water. Stir until completely dissolved. 2. Add 1/4 cup cold water. 3. Stir in 1 cup of Cool Whip. It will melt and dissolve. The mixture will be opaque. It will separate to a two layer Jello as it chills. 4. Pour into pan (I used 4-cup pyrex containers). 5. Chill until firm (preferably overnight) and cut into squares.